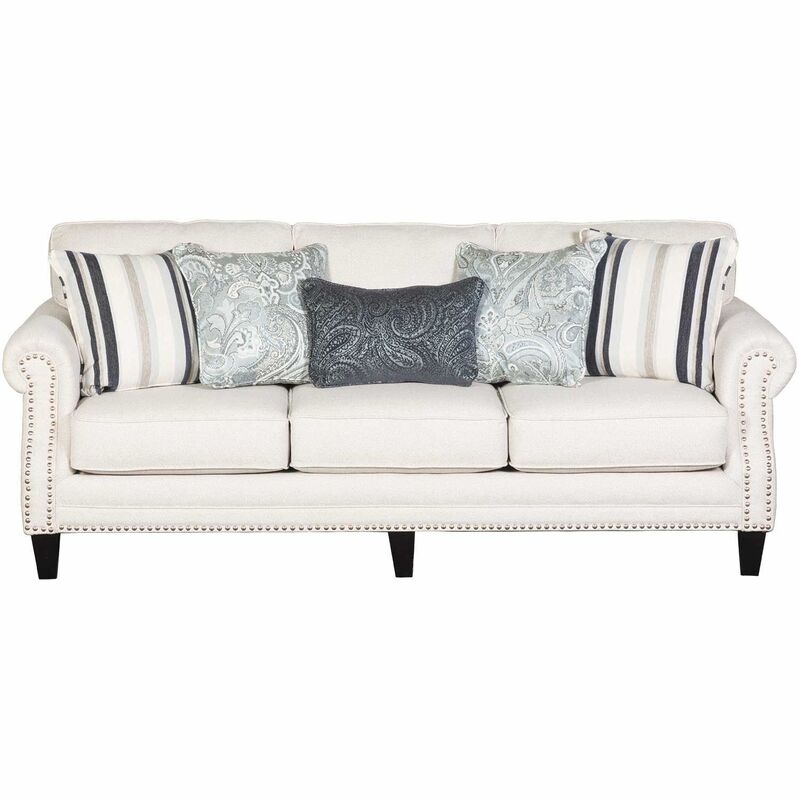 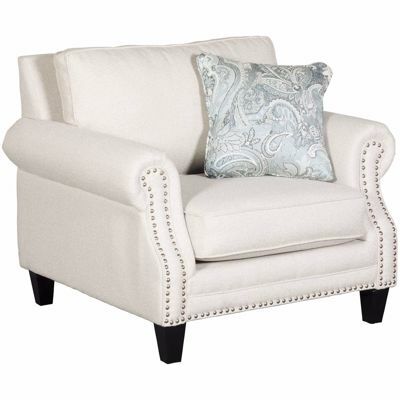 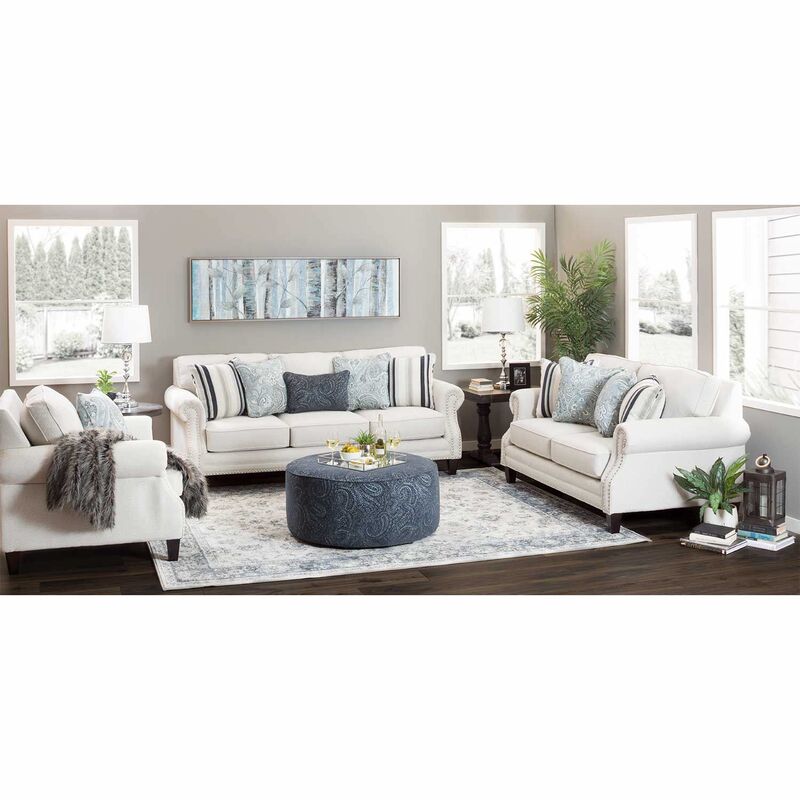 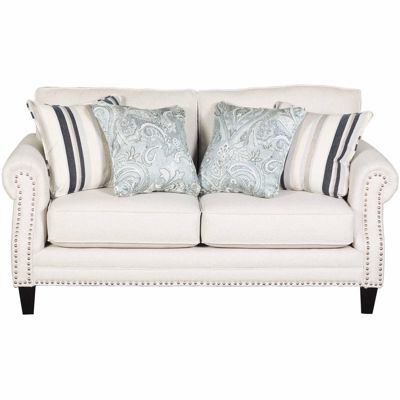 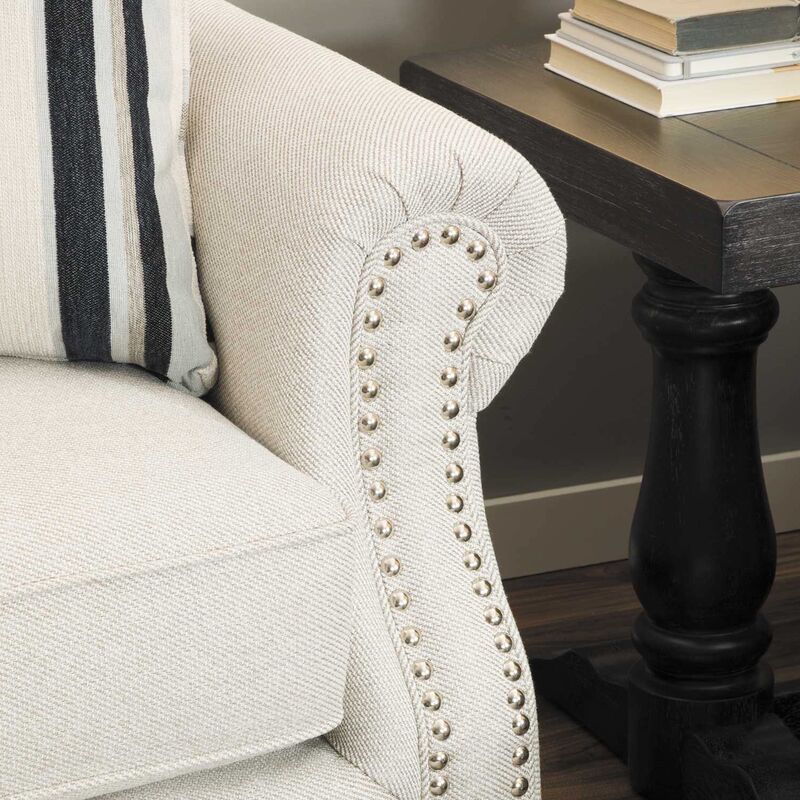 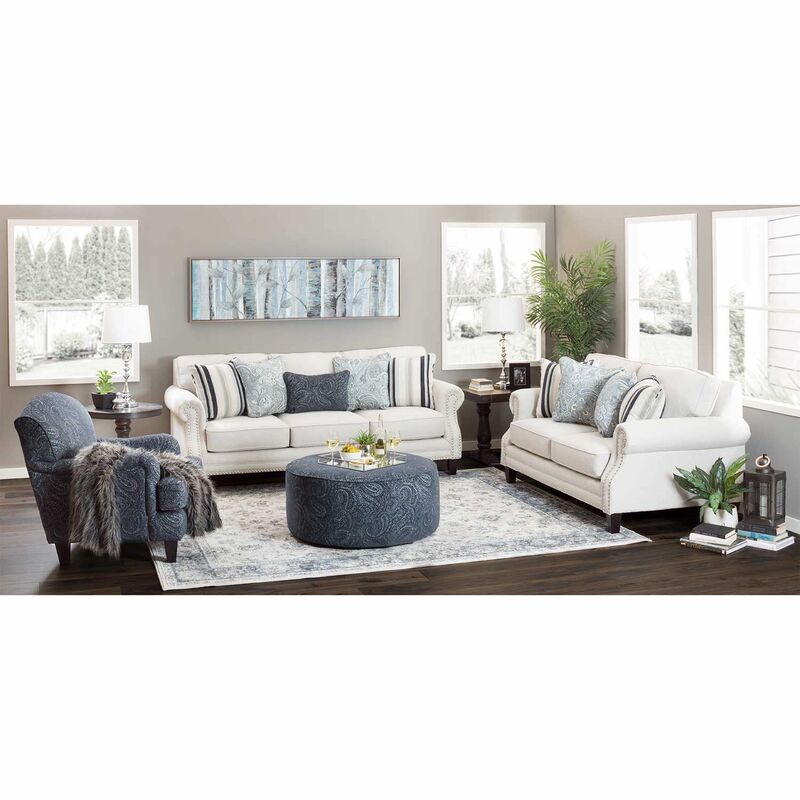 Hamptons Bone White Sofa from Fusion Furniture. 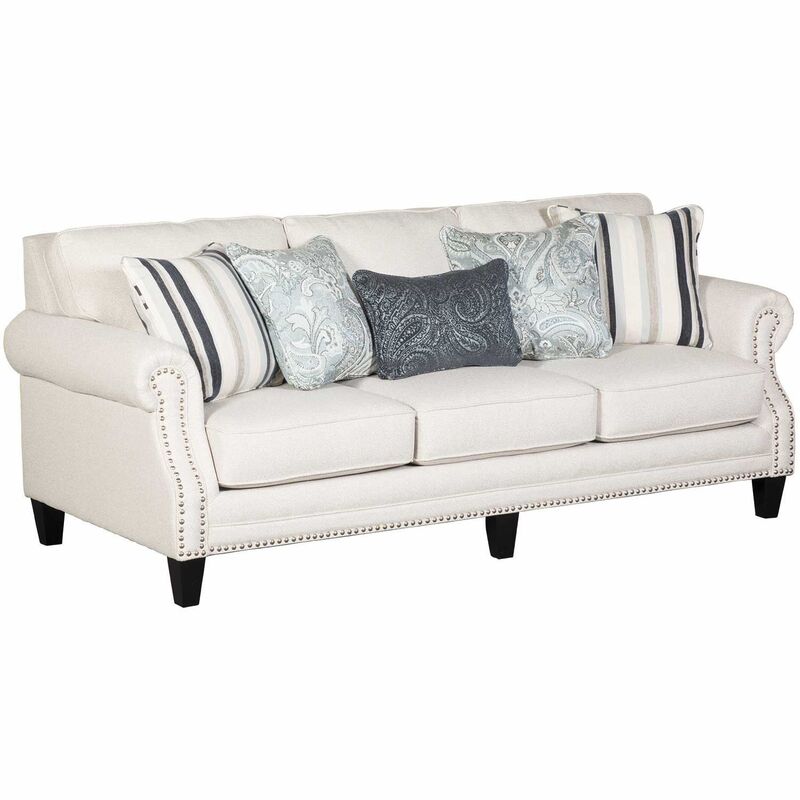 Couch is covered in a bone white 100% polypropylene cover. 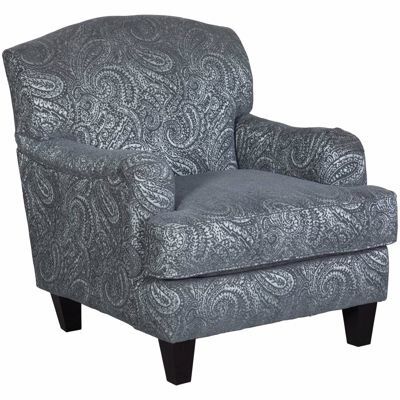 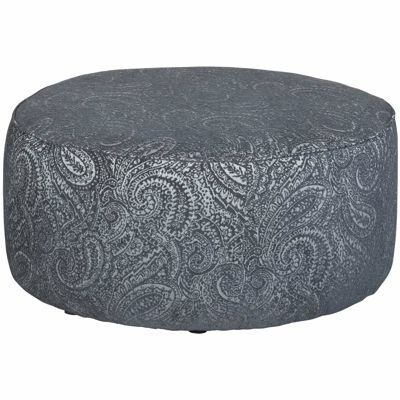 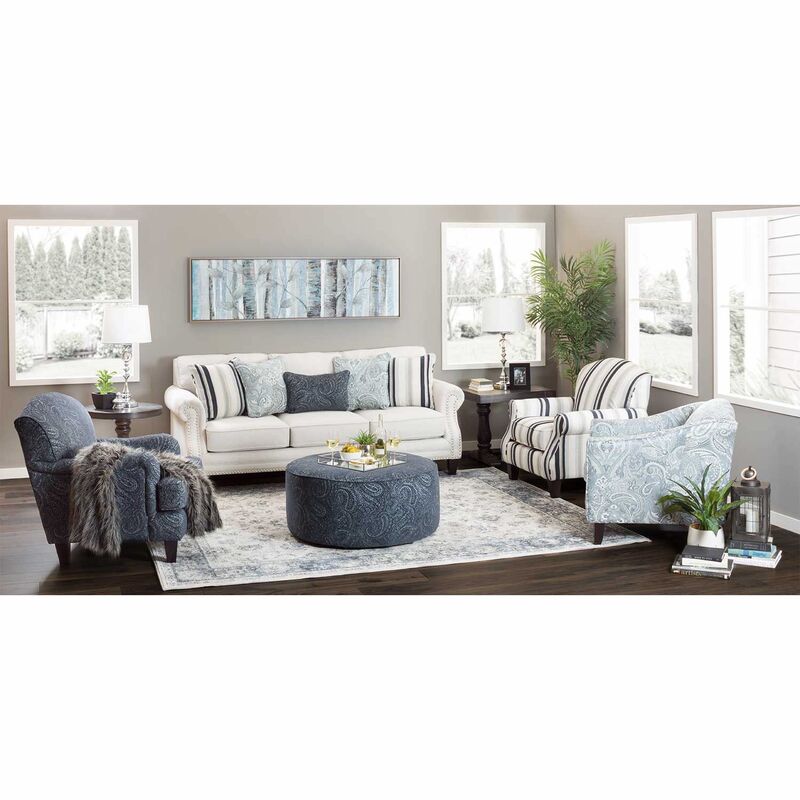 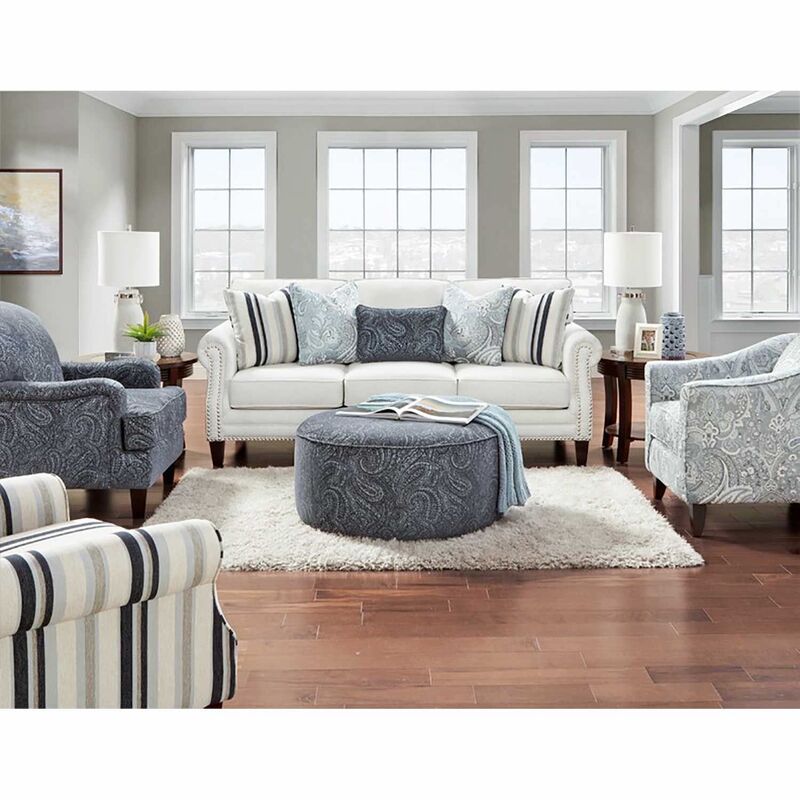 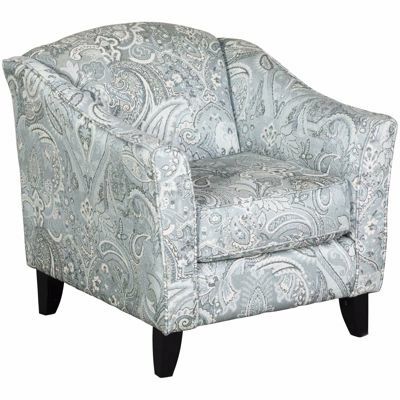 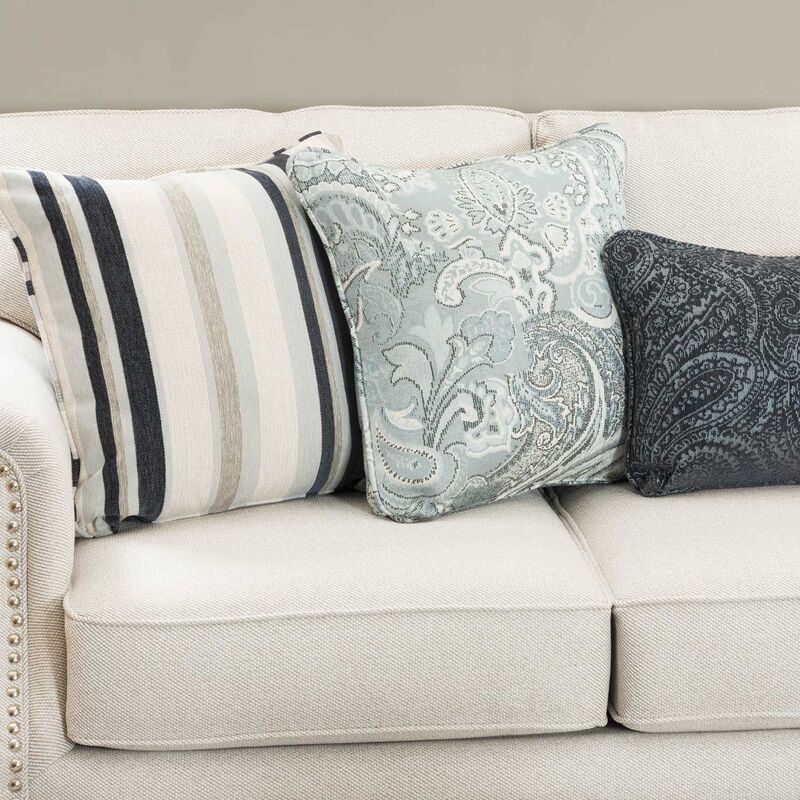 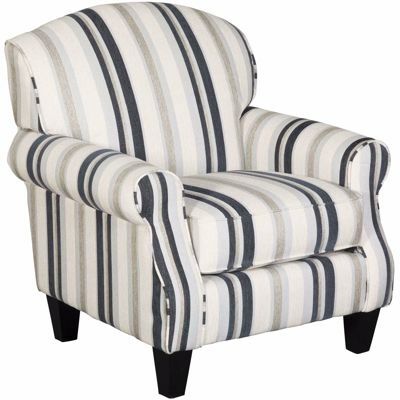 Includes 2 stripe, 2 light blue paisley pillows and 1 dark blue paisley kidney pillows, not sold separately.